Road Safety Audit is considered good practice for all highway schemes where a change to the existing layout is proposed. 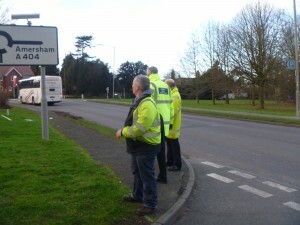 We are able to undertake Road Safety Audit at all Stages and in accordance with GG 119 (formerly HD 19/15). Our Engineers are qualified UK Road Safety Auditors and trained by RoSPA (the Royal Society for the Prevention of Accidents). We also hold MSoRSA Membership of the Society of Road Safety Auditors, and the Highways England Road Safety Audit Certificate of Competency. Our Road Safety Audit Clients include developers, local highway authorities, highway consultants, architectural companies and schools. 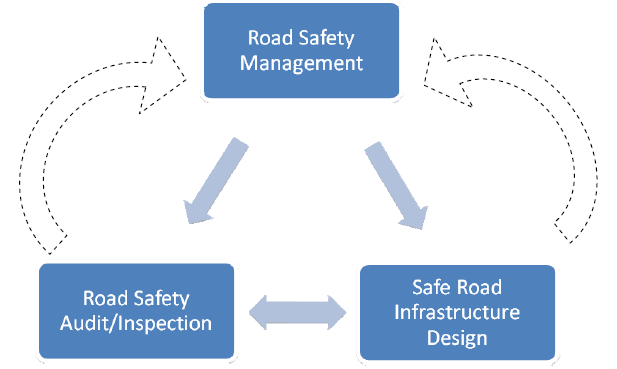 What is Road Safety Audit? Road Safety Audit is now widely used throughout the UK, and beyond, as a means of assessing the road safety implications of introducing a new road layout or alterations to an existing highway and its features. It is recommended for all such highway proposals within the UK. The primary aim of Road Safety Audit is to ensure the future safety of the highway and its users, by identifying potential hazards and minimising the likelihood of road accidents, through mitigation measures and design adjustments at an early stage. All Road Safety Audits should be undertaken by a team independent of those involved in the original design process. As well as minimising the risk of road accidents, this provides additional reassurance for designers that their design has been checked by a team with specialist experience of highway safety, accident hazards, and mitigating measures. Our Road Safety Audit service includes the production of a Road Safety Audit Report, detailing all identified or potential road safety issues and suggested improvements where alternative measures may be available. Development proposals and applications for planning permission. Local safety and accident reduction schemes. Off highway developments, including supermarkets/superstores. Safer routes to school schemes. Traffic calming, pedestrian and cycling facilities. As well as general Road Safety Audits, we can also undertake highway user audits aimed specifically at the safety and needs of specific groups, such as cyclists, pedestrians, and those with mobility, hearing or sight impairments. Need a Road Safety Audit?